I created this photo story for my photojournalism class at Cornerstone University, taught by Grand Rapids Press photographer and adjunct instructor, Emily Zoladz. I chose to do my photo story on Cornerstone’s neighbor across the road, Frederik Meijer Gardens— more specifically, the Christmas and Holiday Traditions Around the World exhibit that opened Nov. 18 and runs until Jan. 4. Because the subject of my story is a place and not a person, I didn’t follow the typical storytelling pattern in which the photographer would follow the subject(s) around, showing them in different situations. Instead, I tried to pick out different parts of the exhibit, capturing people enjoying the elaborately decorated trees, the Railway Garden, and the reindeer outside. 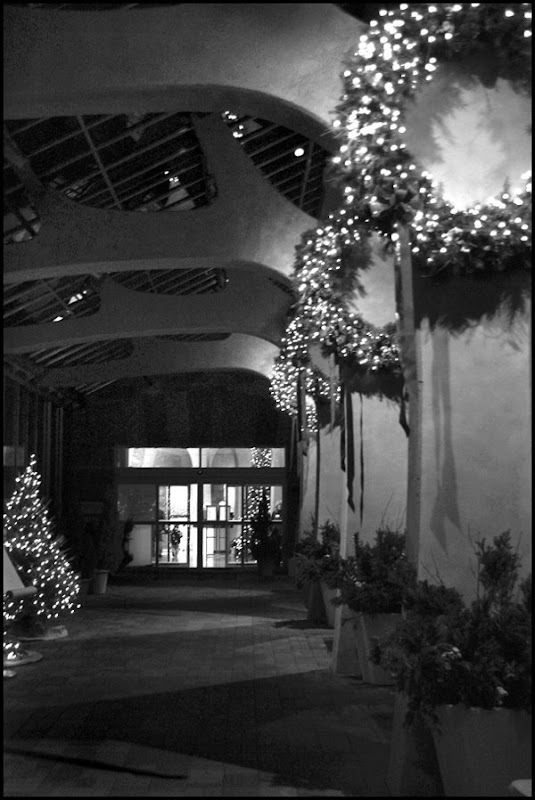 Patrons meandered through the Frederik Meijer Gardens doors on Nov. 18, the opening night of the exhibit, greeted by the softly lit entryway decorated with wreaths and trees. 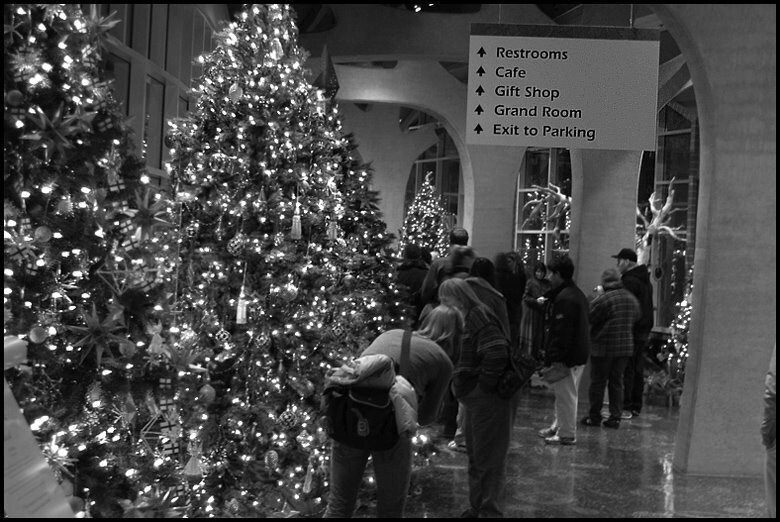 Christmas trees from different countries throughout the world line the curving hallway of Frederik Meijer Gardens on Nov. 18, as appreciative visitors look on. 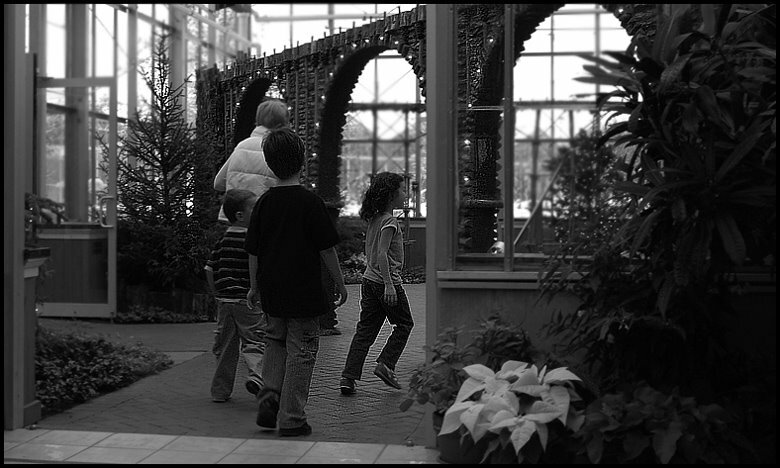 From left, Brayden, 4, Preston, 7, and Lianna, 6, all follow their grandmother through the arch to look at the Railway Garden exhibit at Frederik Meijer Gardens on Dec. 2. The children came with their parents all the way from Calgary, Alberta, Canada (an 1800-mile trip) to visit their Michigan grandparents. While in Grand Rapids, the family was excited to visit Frederik Meijer Gardens to look at the Christmas trees. 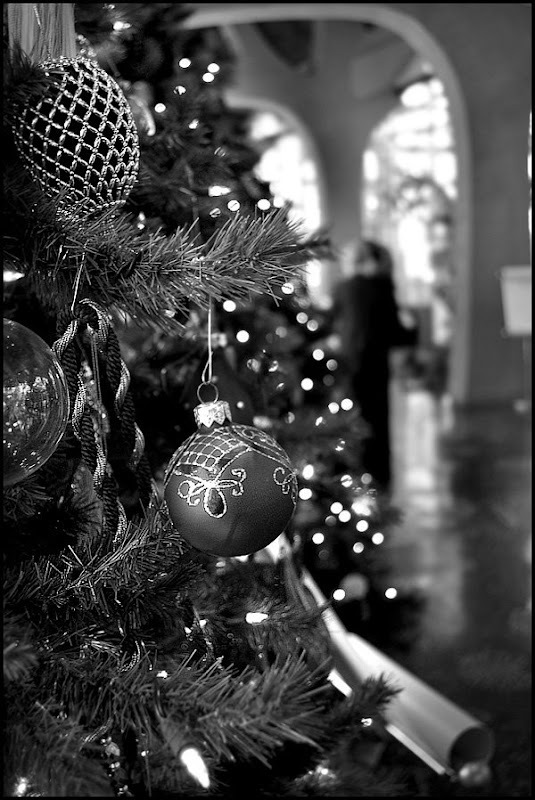 Exquisitely crafted ornaments grace one of the tall trees in the Christmas exhibit on a quiet afternoon at Meijer Gardens on Dec. 2. Meijer Gardens hosts Roof Top Reindeer (an exhibit containing reindeer and alpacas) each Saturday from 1-4 p.m. during Christmas and Holiday Traditions Around the World. 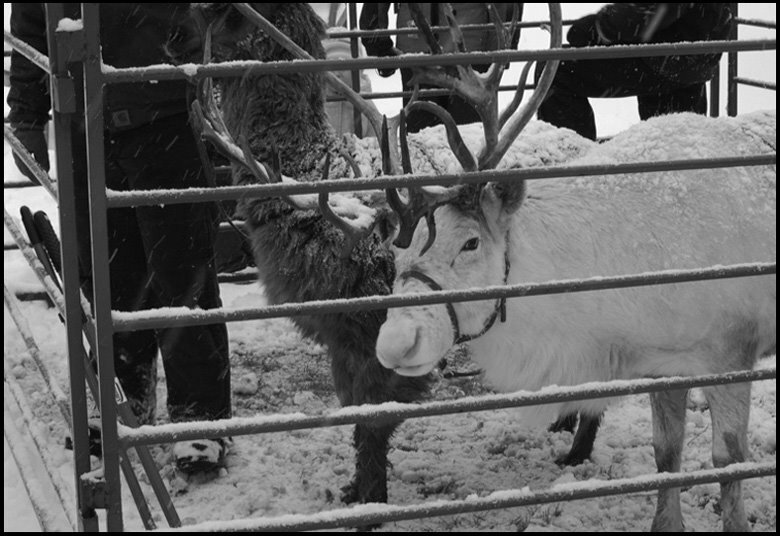 The reindeer seen here was being closely watched and handled by its caretaker inside the fence on Dec. 6 as visitors listened to details about the typical reindeer’s lifespan and habitat. 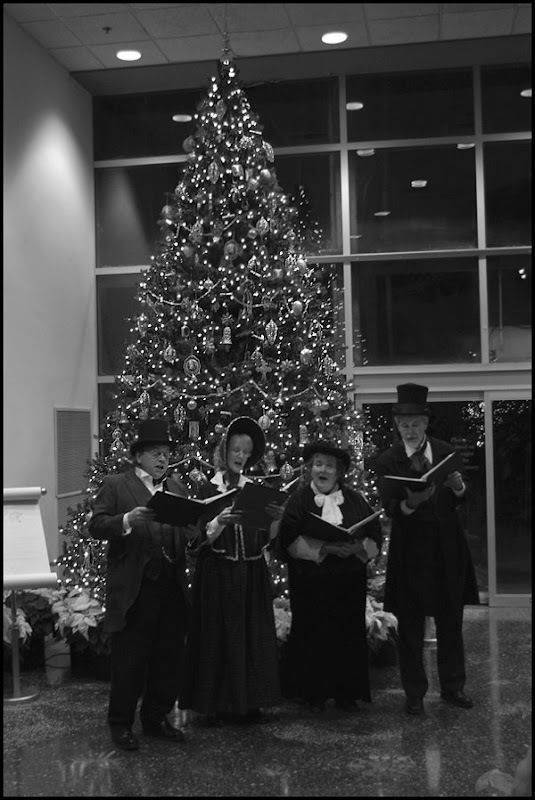 The Original Dickens Carolers sing Christmas Carols in front of a Victorian Christmas tree at Frederik Meijer Gardens on Nov. 18. The quartet sang in several different spots down the winding hall, each time drawing small crowds of appreciative spectators. The group sings at Meijer Gardens every Tuesday of the exhibit, from 6 to 8 p.m.
Hey Rachel, it's great to see you started a blog! I will shoot you an email with a few steps to widening your screen margins so the photos won't be clipped off.